Ever-growing consumer demand is the focal point for many businesses. Back in the 90s, who would have imagined that by 2017 it would be possible to have same day delivery? This example shows clearly that competitiveness is no longer achieved on the cost planning alone but through process-oriented changes in the structure. In manual work as well as industrial development and production, value creation processes need to be increasingly flexible and efficient for enterprises to hold their ground in global competition and to further develop their position in the markets. Thus, digitalization has become a key lever for future value creation in companies. At Prominate we have bridged the real and virtual worlds to streamline fundamental features of value chain processes in virtual environments. The convergence between real and virtual world enables users to reconfigure real processes virtually and optimise efficiency. Our complex supply chain solutions, on-demand-productions and global availability of storage units rely on expandable and scalable software components that function individually but work in parallel with one another to streamline our end-to-end customer solutions. 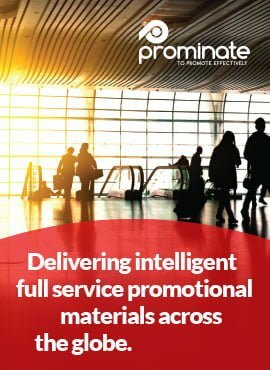 Find out more about how we can deliver your brand with excellence.